What a great load of updates! Good to see you back posting again. The captain is fantastic. 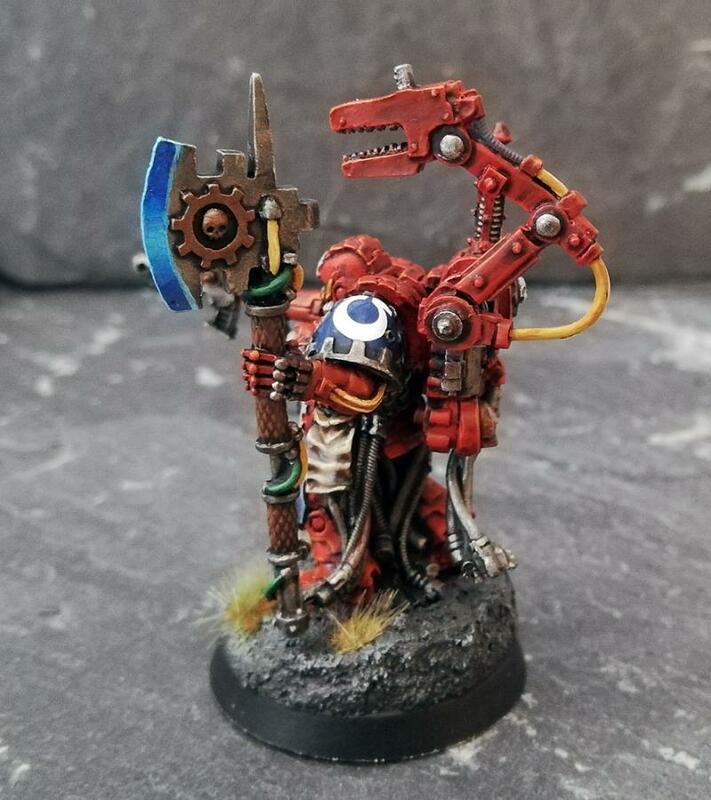 I'd say you're almost better off having him kitbashed yourself - he's more unique that way. 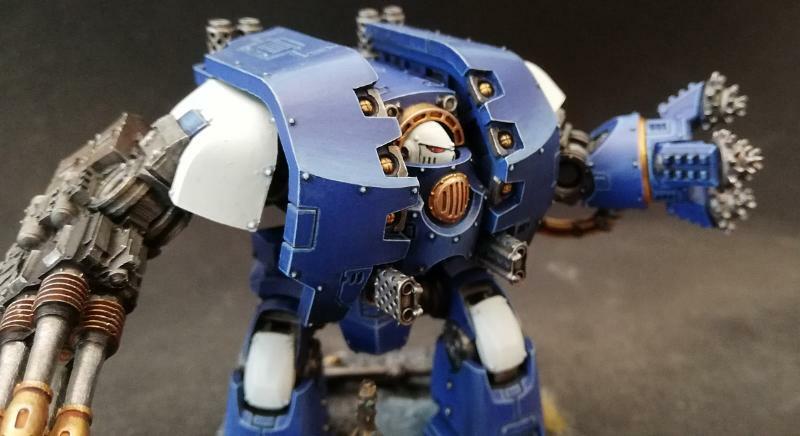 He feels like the other sort of Ultramarine character you can have - instead of resplendent, glorious, and pristine, he is grizzled, functional, and effective. I really dig that look and he has plenty of neat touches that define him clearly as a captain nonetheless. Great work! Keen for more posts. I finished up the librarian. I have mixed feelings because he didn't turned out as well as i had hoped. 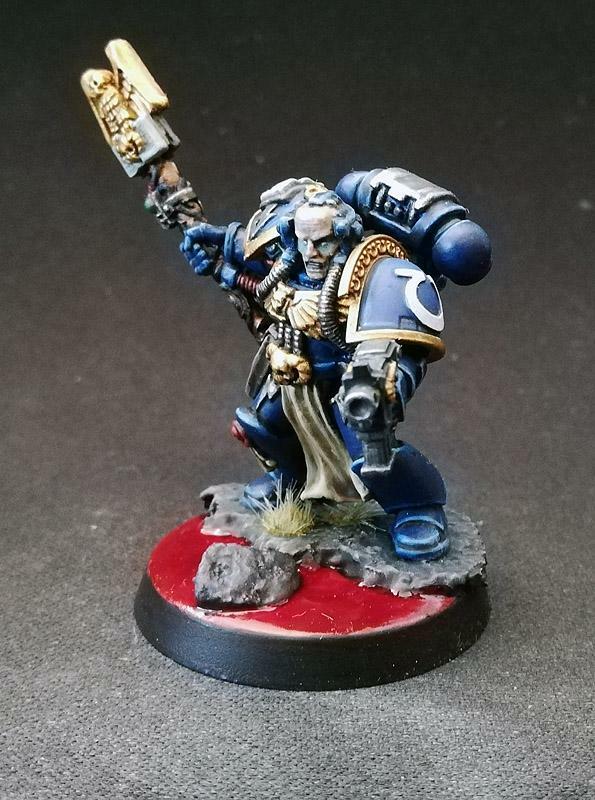 A 2ed cast is not well defined and edge highlighting a pain. The Leviathan is next in line. Several hours of prepwork and a lot of magnets needed. Nice work on the captain. Making a PF/PP captain is on my list of things to do, as well as making at least one PF sarge. Nice to see a cool example. Librarian looks good. I’ve had that guy lead many of my forces, especially 5-7th edition when psykers were in ascendence. 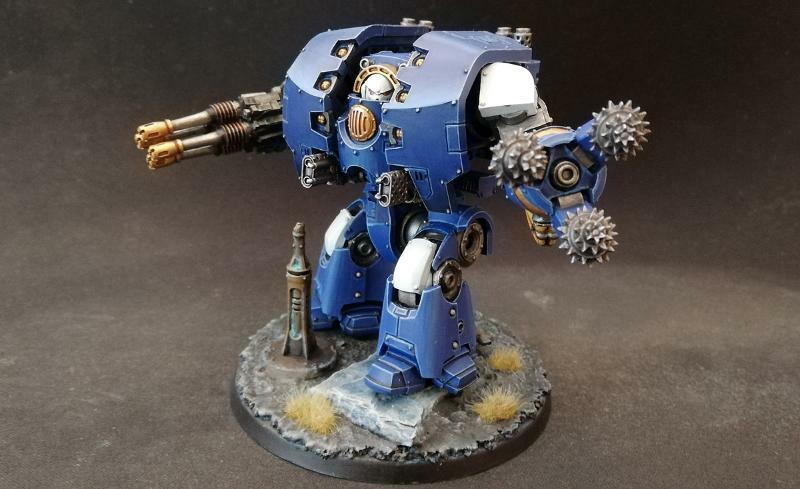 Loving your work here, always a fan of gritty Ultramarines. They can do parade ground looks later, now there is a war to win. Big fan of the scenic base you did there and all. Thanks Nev! I'm keen to see your take on the PF/PP Captain and Sarge. Thank you Thousandeyes. 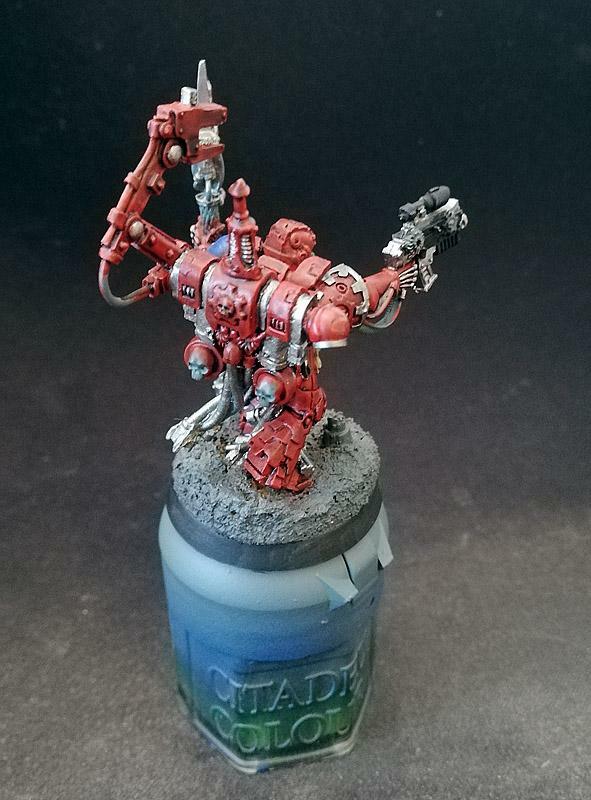 The Levi will hopefully come out more gritty, he is an Ancient Relic of the Chapter and allowed to keep his (superficial) damage and battlescars. Tomorrow I will have a testgame for the upcoming 2on2 tourney next week. This also explains while the cadence is higher right now. Liking your marines and the fact you've gone for 3rd company, you don't see those too often! Keen to see the progress on your Levi, everything else you've done so far looks sweet! I'm glad you are on the ship now, here is another update. 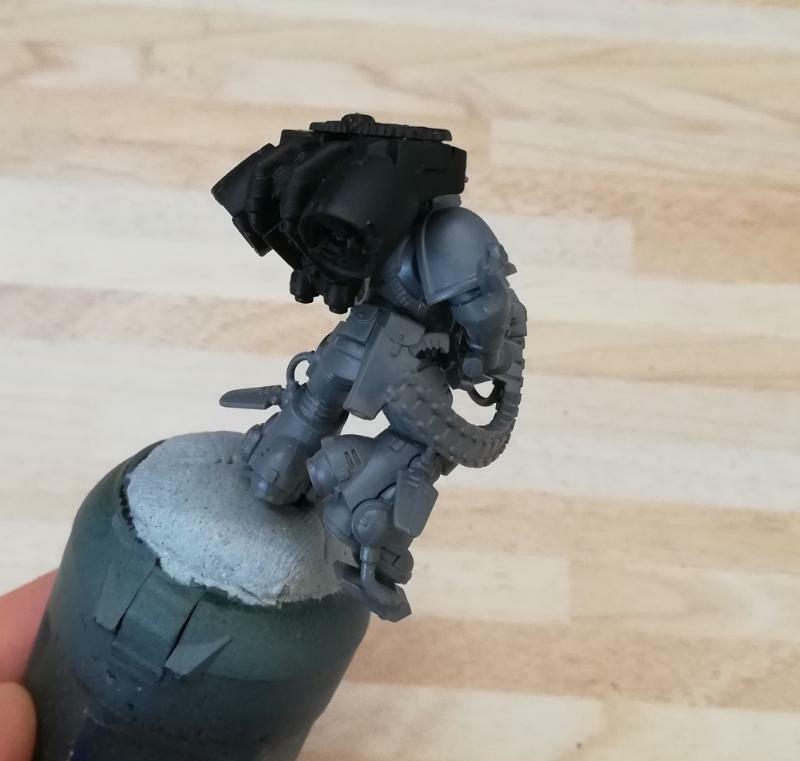 I started highlighting on the round edges on the armour, namely torso and the four sides of each leg. It is a quiet tedious process without an airbrush. A lot of layers, feathering and glazing. The testgame on saturday went kind of bad. My eldar (Alaitoc) mate and i faced a double chaos list with a cultist bomb and lots of anti-armour. 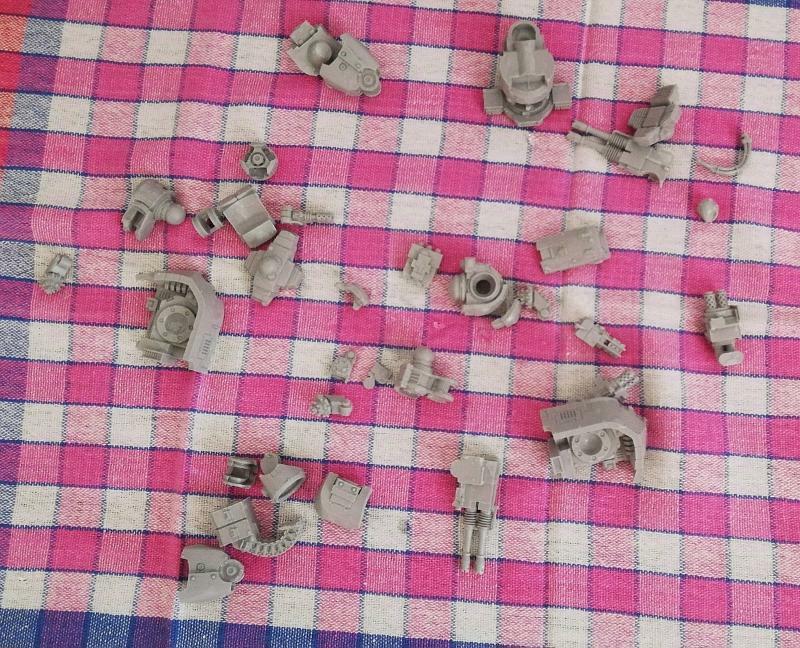 After losing the Redemptor we didn't pack much anti-horde. This will be changed for the tourney. 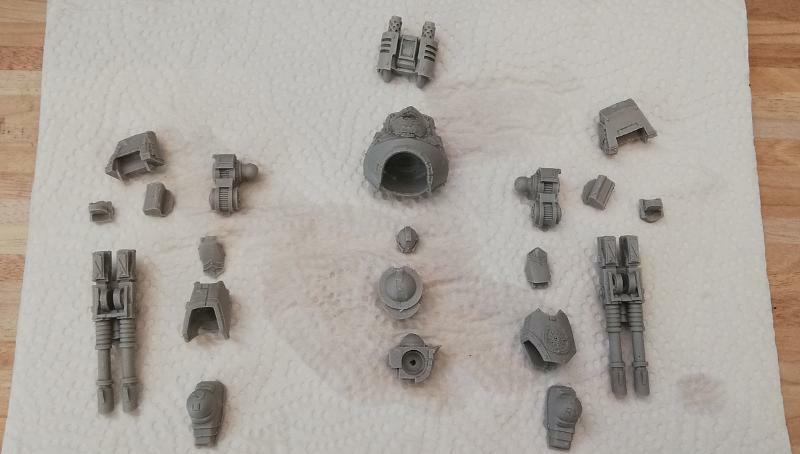 # of Unpainted/Unassembled > # of Painted models. It is update time! After the 2on2 test game my mate and i decided that we needed more horde clearing. 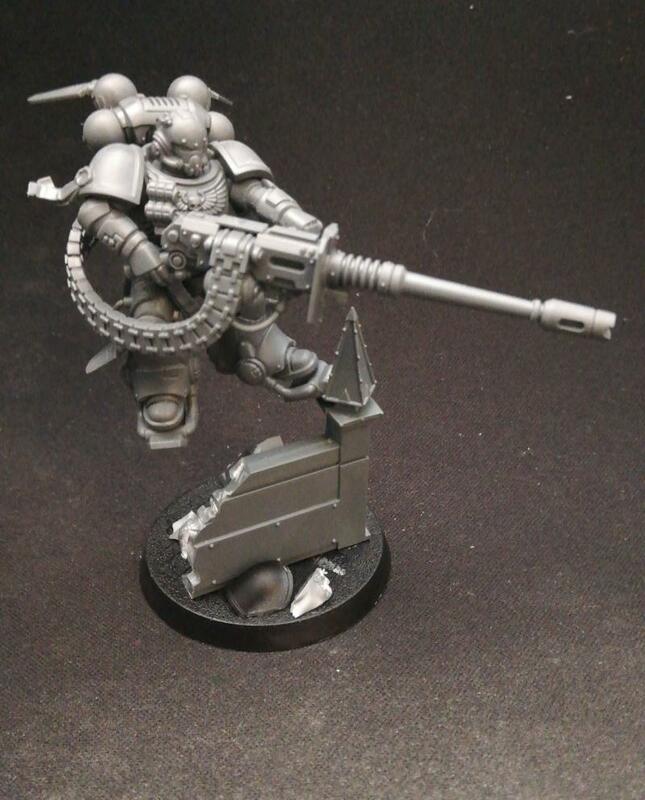 So trade the scouts for Intercessors and getting a Whirlwind. Since i couldn't get a new one (fast), I went on ebay. I have to say, I'm pleased with the end result. Now on to the tourney. It is a doubles format (Ars Bellica missions) 1000pts each player. 3 rounds à 3hrs. I have to say that we didn't expect Sisters. They rushed the midfield with 4++ Rhinos, Repressor, Tombblades and Destroyers. After Turn 1 we didn't score any points and got tabled in Turn 4. The Dreadnoughts survived until the end. Against Chaos/Chaos demons and Guard with a Smash Captain. They had like 6 Chimeras and 2 Demon Princes and a lot of board control with 100+ bodies. But they didn't have (a lot) of answers against our vehicles. We took the midfield and killed their Demon Princes very early. I was kind of close as we ran against the clock, but took the win! In our last game we faced Alaitoc Eldar and Guard. They had the advantage playing dawn of war deployment and long range guns. I couldn't do anything but advance all my stuff in the first turn and pop smoke. As it was already late we did some minor mistakes and played against the clock again. Sadly we didn't get our 4th turn completed. But we took another close win. In the end we only lost against the winning team. We were tied on 2 wins with 2 other teams, but had overall too few points so we ended up 4th. Nice recovery on the WW. 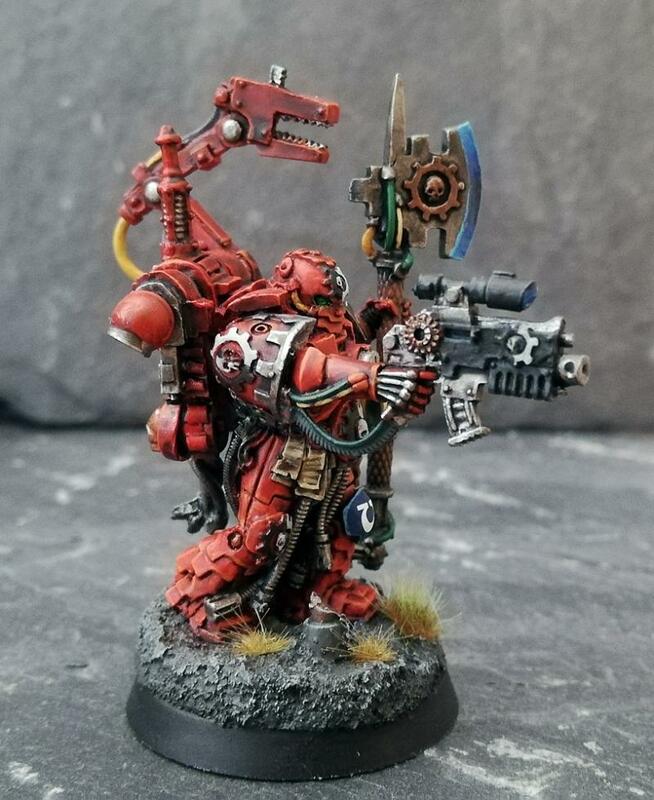 Great looking army shots, and always good to see well painted models hitting the table. I’ve enjoyed the doubles games I’ve played over the years, I think it’s a more entertaining format. I had a lot to do with uni lately, so i didn't paint and post much. 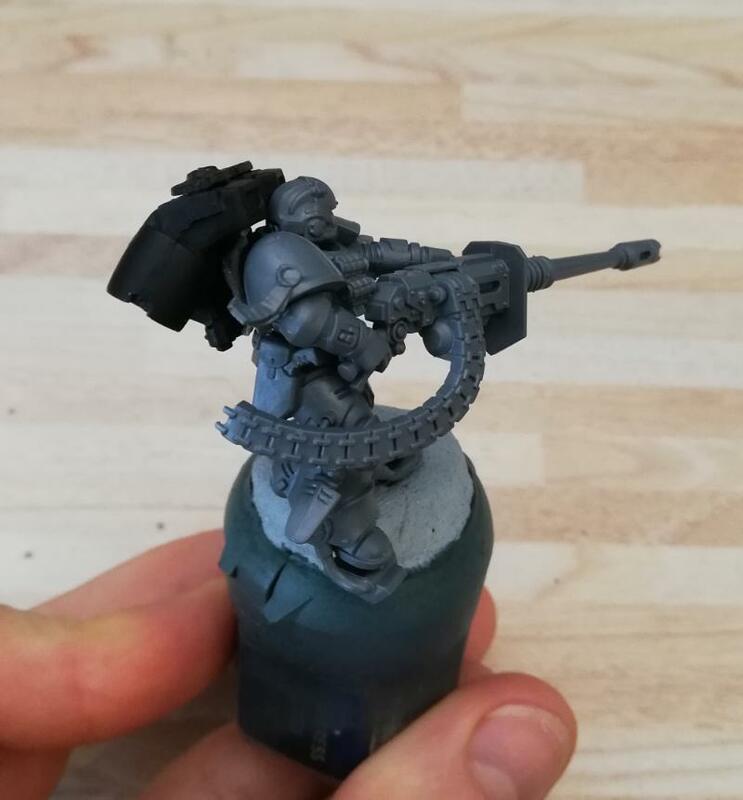 After looking at all the sprues from the shadow spear set I decided to start with a Suppressor. I particularly despise the flimsy flying stems from GW so every member of the squad will be crushing through a piece of ruin. That's a beautiful Leviathan, and it's great to see the game shots on a nice table. Good stuff! 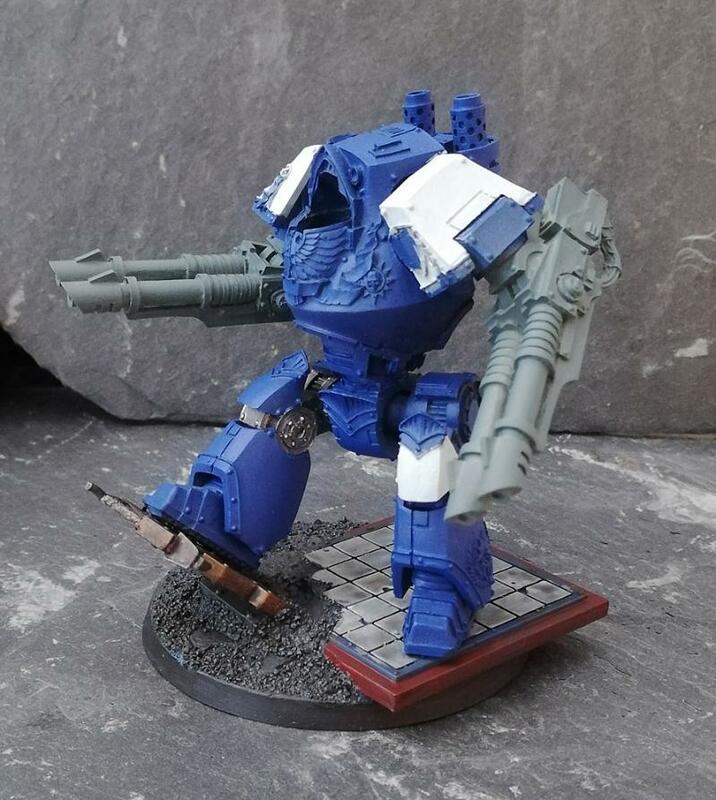 Leviathan is looking tidy. Goood luck with the suppressors, I am keen to see what you do with them. I'm personally not a fan of them at all, which is a bit of a shame because it's a cool concept. 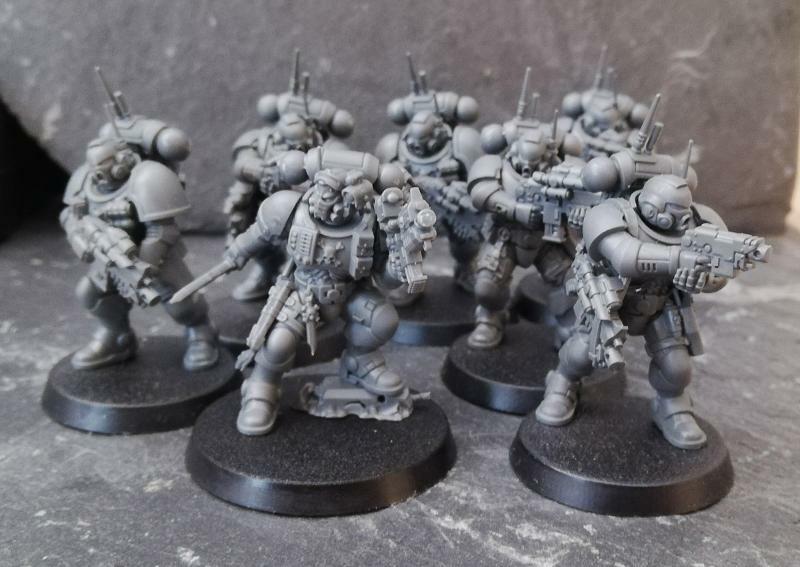 Do they look easy enough to model a regular Assault Marine jump pack onto? Yeah it is easy enough. You just need to transfer that drum-feed. But I won't be doing this. 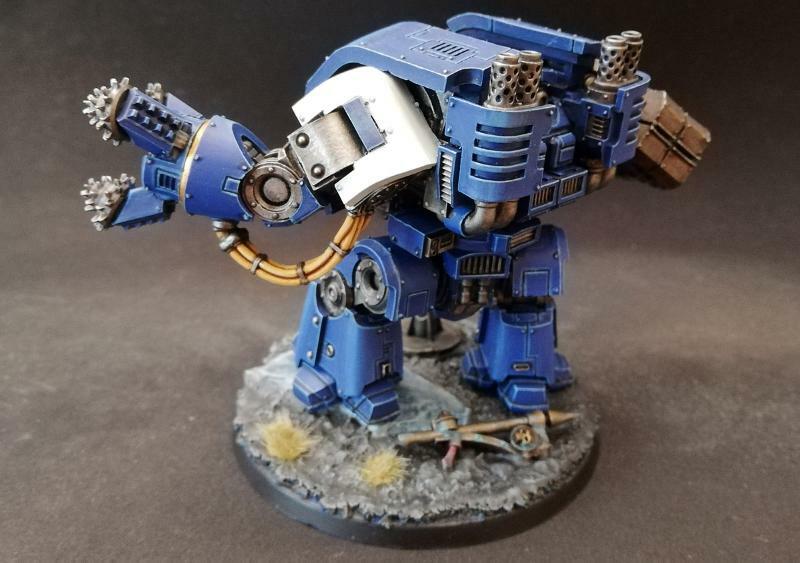 They should have the Inceptor jetpack for what its worth. Glad to see the recovery on that whirlwind, you've done a great job of it and you've smashed that Levi! 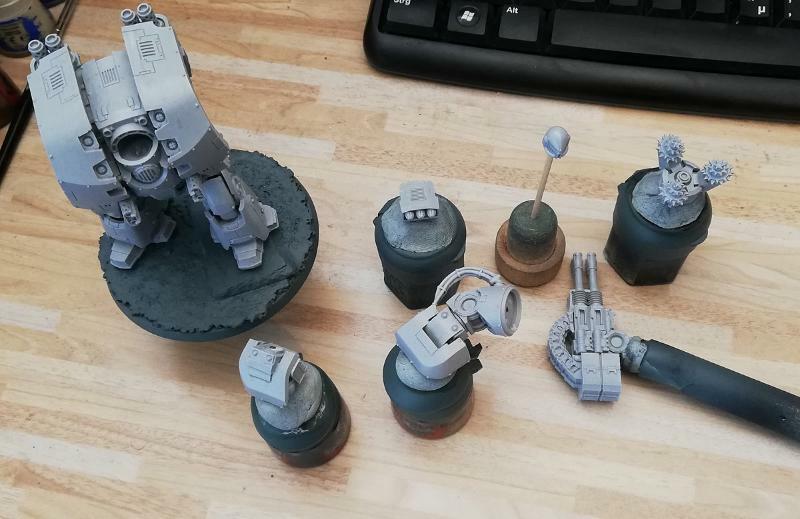 If you wanted to practise weathering, try it out on some spare parts and then give it a whirl on the Levi if you're up to it. 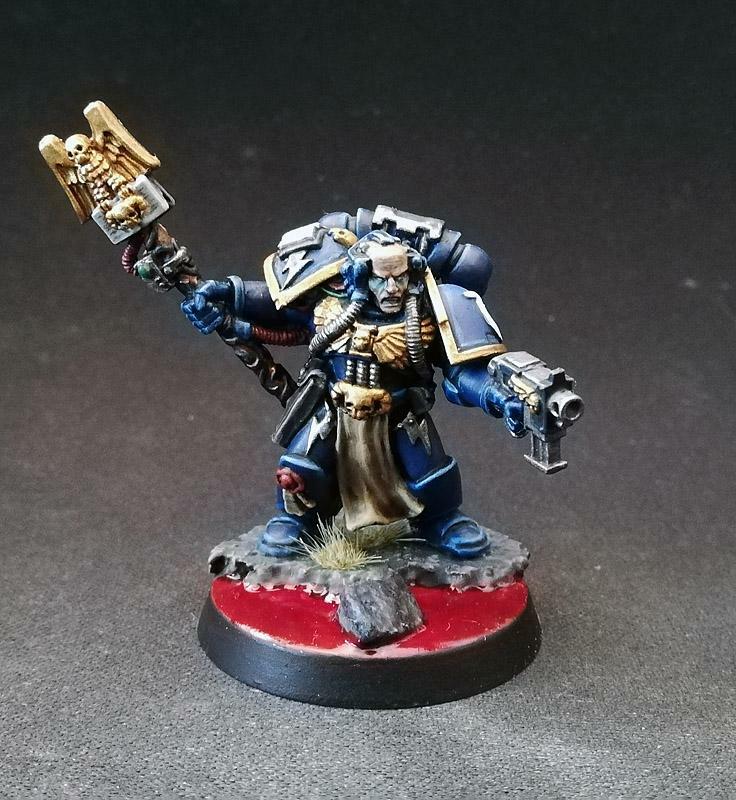 Keen to see what you'll do with your Vanguard Marines, I'm really tempted to pick up Shadowspear come pay day for the Chaos models. 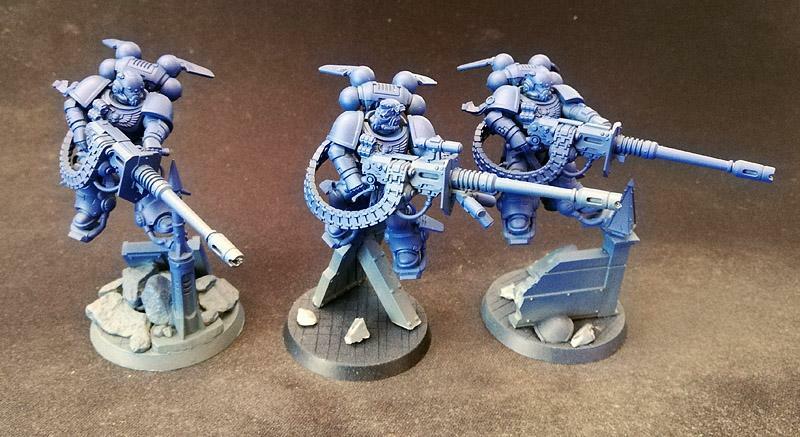 Inceptors with those guns, minus the moon-shoes would be ideal. Your Leviathan is fantastic! Ah true, very kind of you upload some photos of the fit! 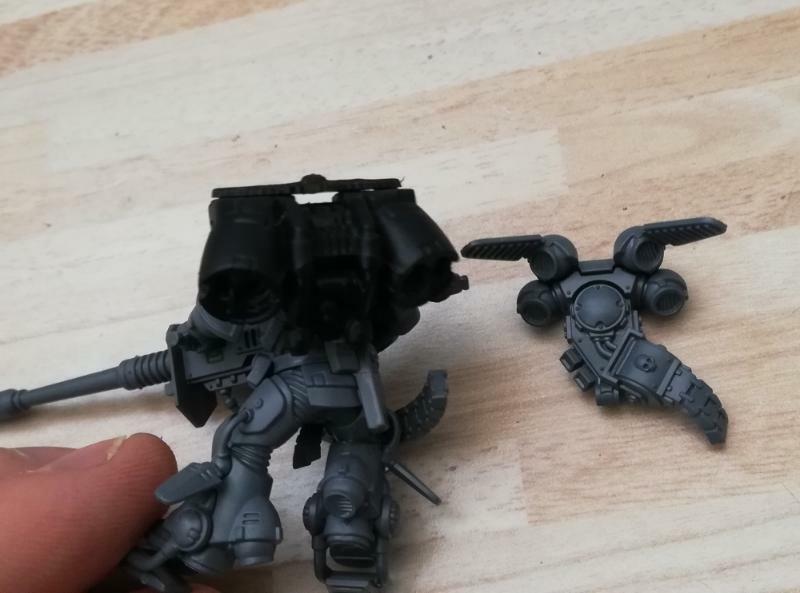 The least that they could do is use the inceptor jetpacks, I agree. Hey guys, thanks for your comments. Last weekend we had a game from the Shadowspear mini campaign (with additional models from our collections) 2x Chaos Marines against Ultramarines and Tau. I am not really sold on the new models gaming wise except the Eliminators. These will be painted first. I finished the Suppressors, but not sure if I keep the pile of rocks on the base, it looks too "heavy". The Eliminators are super cool - they sniped a Greater Possessed in one go. I will play them more often. 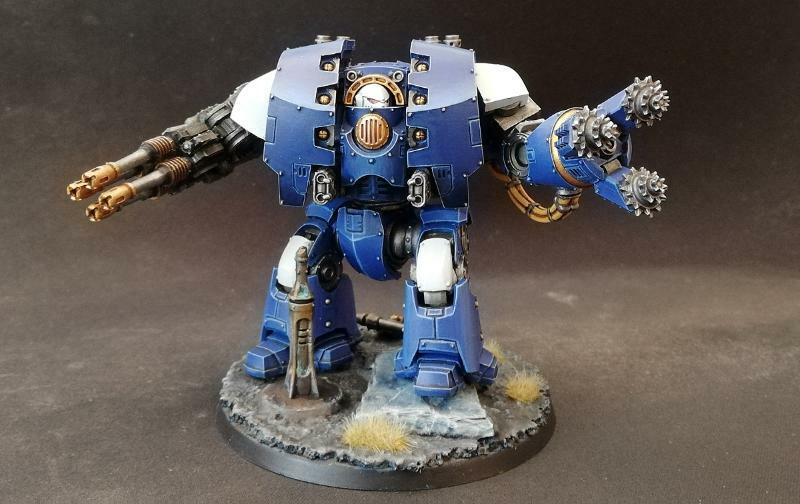 With the Shadowspear box we still didn't get anti-tank so we have to improvise and Dreadnoughts are close enough in a Primaris army. 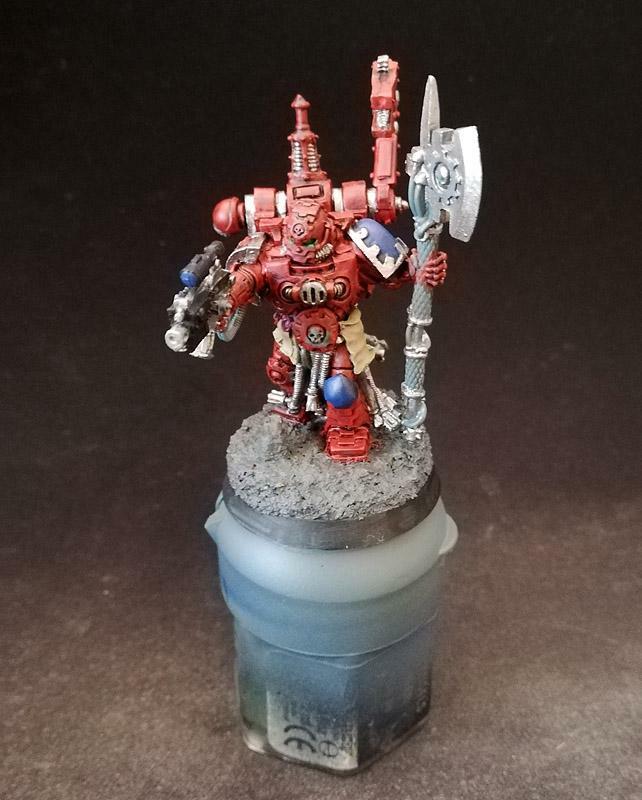 I could however bring myself to not buy the forgeworld Techmarine, so i converted my old metal one. He should keep my dreads running. I had so much fun building, that I immediately started painting. I think the only issue with the pile of rocks is that it’s only on one guy. 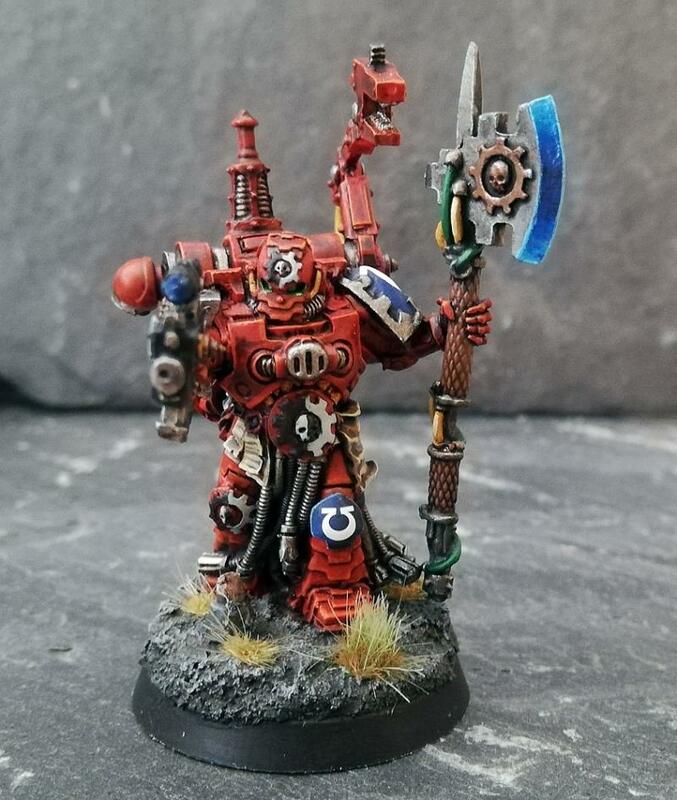 I’d either pile some more on his brother’s bases, or cut a few back on his. But that’s more of a squad coherency issue, both modes work. How did the suppressors fare in your game? They seem a source of much needed long range AV firepower. I’m debating kitbashing up some. Thanks for the JP pic. 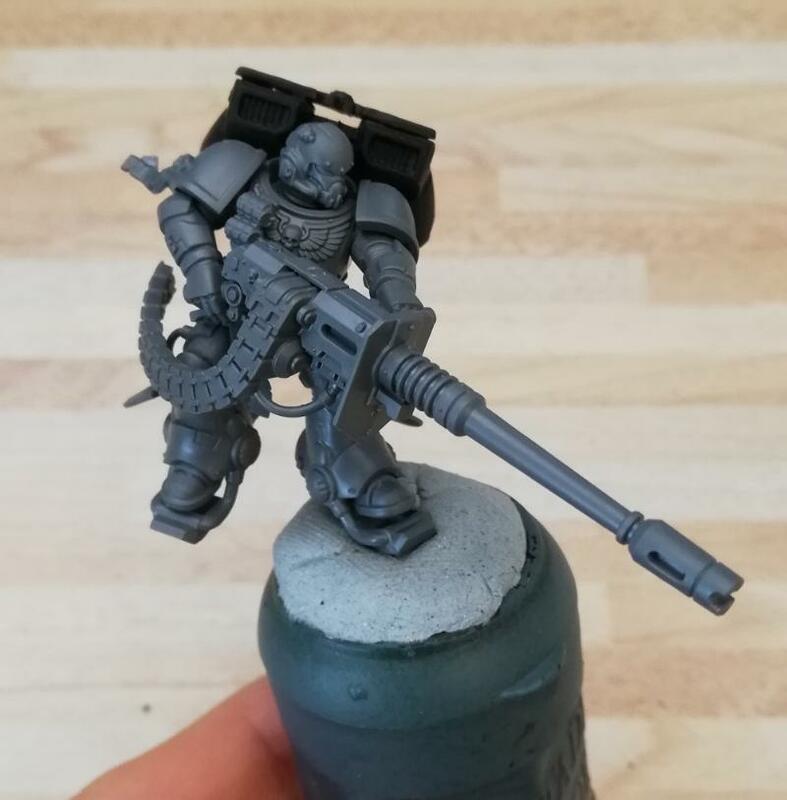 I think that and a new barrel on a HB could make a reasonable counts-as on an intercessor base body. Eliminators look so cool. I hope they get released separately at some point soon. I love that moment when you are so happy with a build that you get right into painting. Normally I have a lot of lag time in my process, but when things line up to harness the joy in the hobby, it’s a wonderful thing. Yeah. 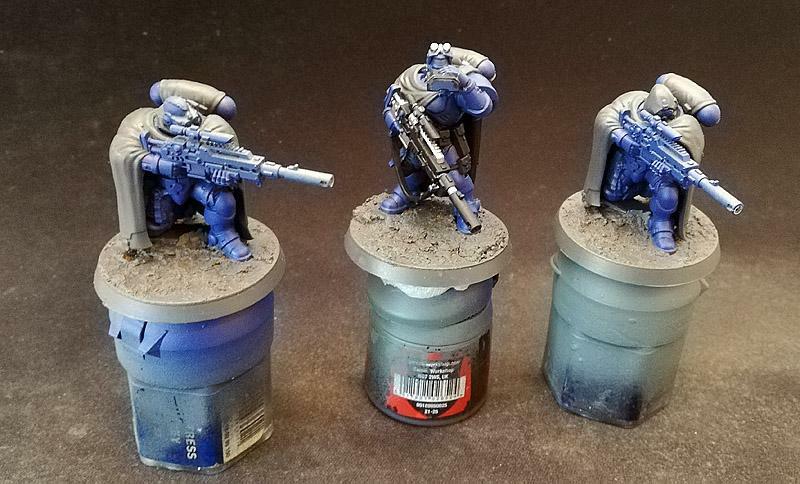 There is a lot of space left on his brothers bases. Too many rocks wouldn't be coherent with the rest of the army either. Cutting back is a good idea. I did not deploy them on the board, but deepstruck them in turn 2 between my Captain (MVP again), Lieutenant and Ancient. With rerolls they still only managed 2 wounds on the Venomcrawler (which is about average). Quick update: I did remove the stones from the Suppressor base and it looks much better.